The @school game is interactive, online, colourful, user friendly, and great fun for primary school children. The online game has many levels to play and children can enter their highest score on a leader baord with a chance to win a prize or prizes. @school is an award winning online content resource for primary education. 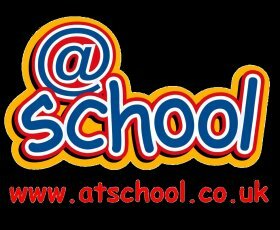 Atschool is organised and structure around the national curriculum and covers all key stage 1 and 2 subjects including English, Mathematics, Science, History, Geography, Music, Art, RE, PE, PSHE, ICT, Design and Technology. The idea of the game is to move around and colour all the Hexagons but make sure that you don't get caught by the baddies. The @school game is interactive, online, colourful, user friendly and great fun for primary school children. The online game has many levels to play and children can enter their highest score on a leader board. The idea of the game is to move around and colour in all the Hexagons but you need to watch out for the baddies that also move around - make sure that you don't get caught by them! The more your play the better you will get. Good Luck! May the Hexagons be with you! The more your play the better you will get!! !